If you’ve ever considered your conversations in your own home or office to be private, get ready to feel completely vulnerable. 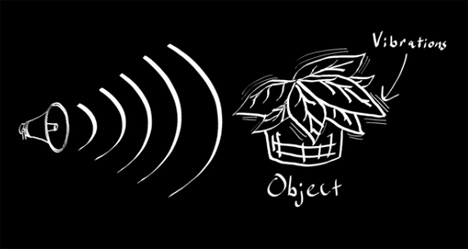 A research team at MIT developed a way to listen in on your conversations using nothing more than high-speed video – even if the video is shot from a distance and through glass. 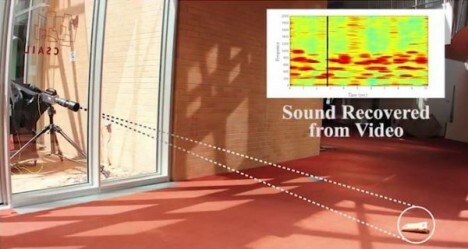 Sound waves cause minute vibrations in objects near the sound source. The waves are so tiny that we can’t detect them, but high-speed cameras can, as the MIT experiment showed. The researchers pointed a camera at a potato chip bag and played a recording of Mary Had a Little Lamb in the same room. When they played back the video and ran it through a computer program, the program was able to analyze those tiny vibrations and translate them into sound. The results were eerie. The played-back sound was completely recognizable as the song that had been played in the room. The same result was achieved with spoken words and with music played through a pair of earbuds. The recreated music was even clear enough to be recognized by a song recognition app. The implications of this type of technology are both thrilling and terrifying; it could be easily used for nefarious purposes, but we’re staying optimistic and choosing to believe that it will only be used to catch bad guys and recover lost puppies.